I am not a love triangle type of girl. I hate how love triangles are being used so much nowadays that sometimes it just throws me off and I rather not read the book. 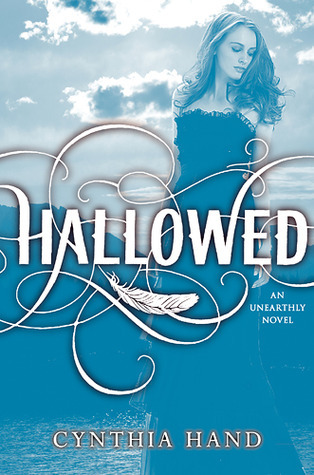 But I followed on through with Unearthly and now with Hallowed. I really enjoyed Hallowed. It definitely lived up to my expectations and I’m satisfied with it. However, that pesky love triangle is what keeps me from loving it so much that I’m shouting it from the rooftop. Add someone cheating or someone trying to break up a relationship and you have Jenn judging you. And really disliking you as well. Someone else who really surprised me was Jeffrey. I knew something was off with Jeffrey since the end of Unearthly and Hallowed just supported that theory. Just a fair warning: we don’t find out what Jeffrey is hiding until such a pivotal point in the book that I just applaud Ms. Hand at her awesome writing for doing that. And boy do you wish you knew what Jeffrey was hiding early on. I just wonder how different everything would have turned out if we knew what Jeffrey’s knew, it definitely would have been interesting. I also felt horrible for him. Clara is the main character and we see everything through her eyes but she and everyone else (including us, the readers) forget about poor Jeffrey. Jeffrey who was forced to move to a different place and new school. Jeffrey who was coming into terms with being an angel. Jeffrey who at some point is/was dealing with his purpose. We completely forget him and I can understand some of the anger he has in this book towards Clara. We learn more about Clara’s mom, Maggie’s, secrets. And OMG. Maggie is hiding some serious stuff. I was just like: woah? and how? and that makes so much sense. We get some answers and more questions regarding Samjeeza and about Clara and Jeffrey’s dad.There was so much information regarding Maggie that I should mention that I’m still in shock and shaking my head at it. But it was SO good. Angela, Clara’s bff, is not in the story as much but her part is important. Her purpose is very important. I mean, she’s the one that basically get Clara off her sad and indecisive horse and off to college. And, Angela is basically a pool of knowledge for Clara. 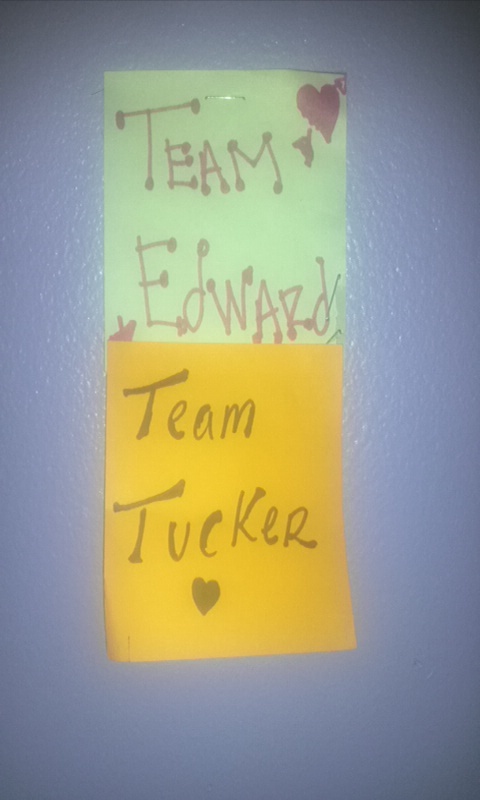 "Tucker smiles in a mischievous way I know too well. I don't have much time to protest before he leans over for a kiss. I push at him, embarrassed, then melt and forget where I am for a minute. Finally he lets go. I try to catch my breath." " 'This isn't going to become one of those creepy situations where you show up at all hours of the night to watch me sleep, is it?' he asks playfully. 'Every moment I'm away from you, I die a little,' I say in return. 'Are you complaining?' I ask, quirking an eyebrow at him. He grins. 'Nope. Definitely not complaining. I just wanted to know so I can start wearing more than boxers to bed.' "
"I tip my head up to kiss him. It starts out as something sweet, slow and lazy as the afternoon sun, but it heats up fast. We pull apart for a second and our breath mingles, and I twist around so I am practically lying on top of him, our legs tangling. He reaches up to take my head in his hand and kisses me again, then does this half groan, half laugh that drives me crazy and drops his hand down to my hip and tugs me closer." Ms. Hand did a wonderful job in Hallowed. Clara's character growth was amazing to read. The emotions that were conveyed in novel, I felt them. I actually had to stop reading to be able to wipe away my tears because of certain scenes in the book. A lot of authors can make me pause for a sad scene and feel bad for a character, but not many can make cry actual tears and do it beautifully. I can't wait until Boundless comes out so I can experience her words and find out what happens next. Soo... Team Tucker over here too!!!!!!!! lol. You did a really good job on this review and the quotes OMG! (*swoon*). I had the same feeling when I was reading the book; I was like: what? who? omg! really? Umm. Yeah, basically like that. Well my dear Jenn, thumbs up for you on this one ;) !